ImpactECON announces several new videos examining the Global Supply Chain database and modeling framework. 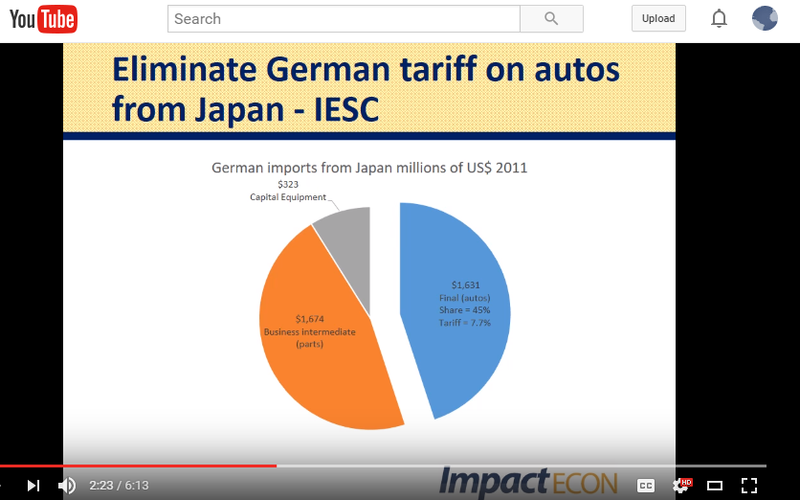 In the series of videos, a simple trade liberalization shock is implemented on automobiles exported from Japan to Germany using both the GTAP model and the ImpactECON global supply chain model and the results compared. The analysis shows some surprising differences between the two models, and in particular the impact of the trade liberalization on Germany’s domestic production of motor vehicles. For more information on the ImpactECON global supply chain package, please visit the ImpactECON store.